The imported Waverly Charleston Chirp Comforter Set includes three pieces flaunting a traditional old-world sense of style. The comforter features a nature motif combining papayas, sage greens, rust oranges, eggshell blues and lavenders against a vanilla backdrop. The bedskirt and reverse side of the comforter feature coordinating stripes and matching self-piping decorative trim accent the entire look. This bedding set includes a single quilted comforter, one 15” drop bedskirt and one pillow sham. 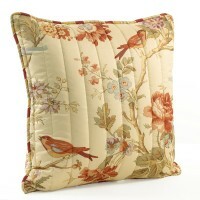 The sham features a 3” scalloped flange with stripe accent self-piping. This gorgeous set creates a sense of calmness and comfort, and the neutral color palette provides versatility. Accompany it with matching accessory pillows, drapery panels and window valance to create a truly complete bedroom ensemble. The Waverly Charleston Chirp Bedding Set is sure to be appreciated in the contemporary master bedroom. 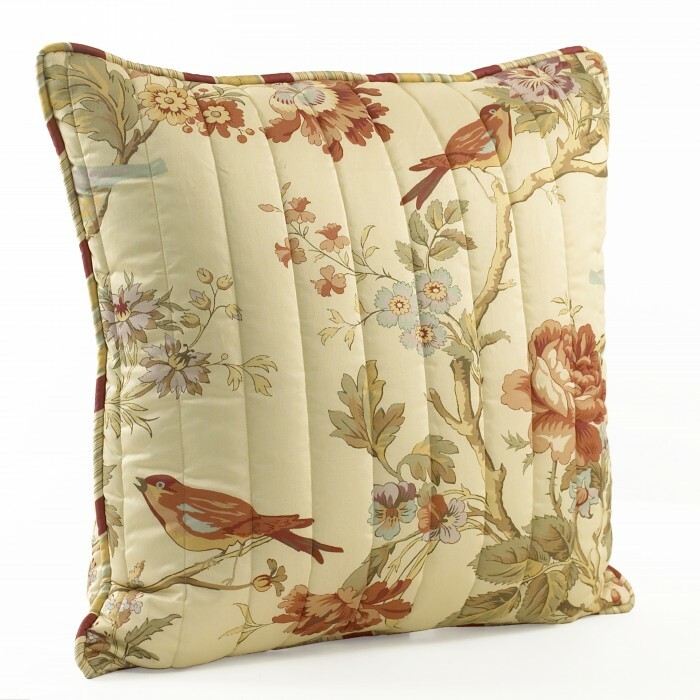 The Waverly Charleston Chirp Quilted Pillow is part of the Waverly Charleston Chirp bedding collection, flaunting a traditional old-world sense of style. The Pillow features a nature motif combining papayas, sage greens, rust oranges, eggshell blues and lavenders against a vanilla backdrop. A matching self-piping decorative trim accent the entire look. Accompany it with matching Comforter, accessory pillows, drapery panels and window valance to create a truly complete bedroom ensemble. 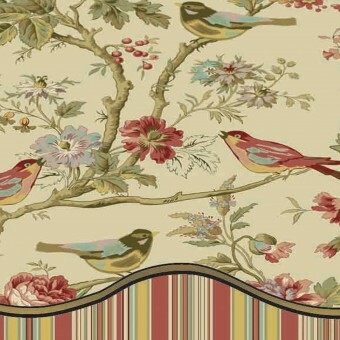 The Waverly Charleston Chirp Bedding Set is sure to be appreciated in the contemporary master bedroom. Pillow measures 20" x 20"
The Waverly Charleston Chirp Valance flaunting a traditional old-world sense of style. The Valance features a nature motif combining papayas, sage greens, rust oranges, eggshell blues and lavenders against a vanilla backdrop. 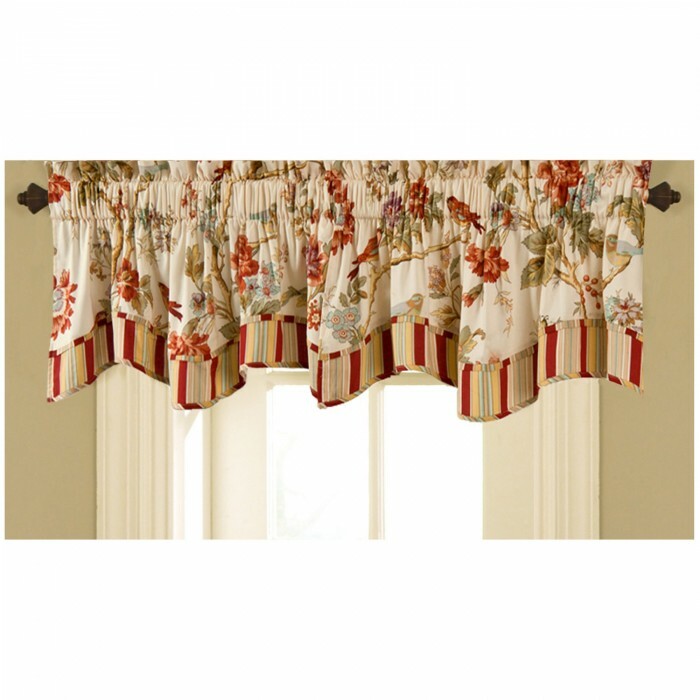 The valance is further enhanced with a coordinating self-piping decorative trim. 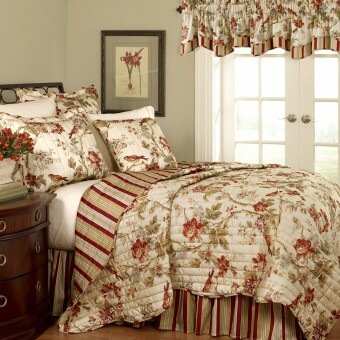 Accompany it with matching comforter, accessory pillows, and drapery panels to create a truly complete bedroom ensemble. 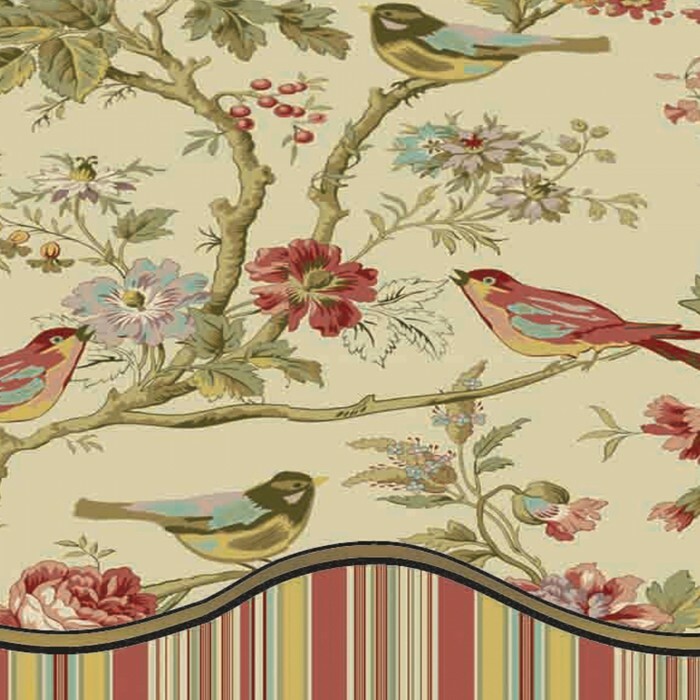 The Waverly Charleston Chirp Bedding Set is sure to be appreciated in the contemporary master bedroom. 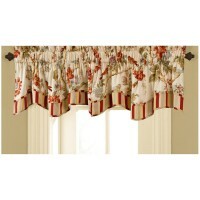 Valance measures 50" x 18"